This wooden number jigsaw puzzle is made up of 10 brightly coloured pieces, perfect for helping little ones learn their numbers. 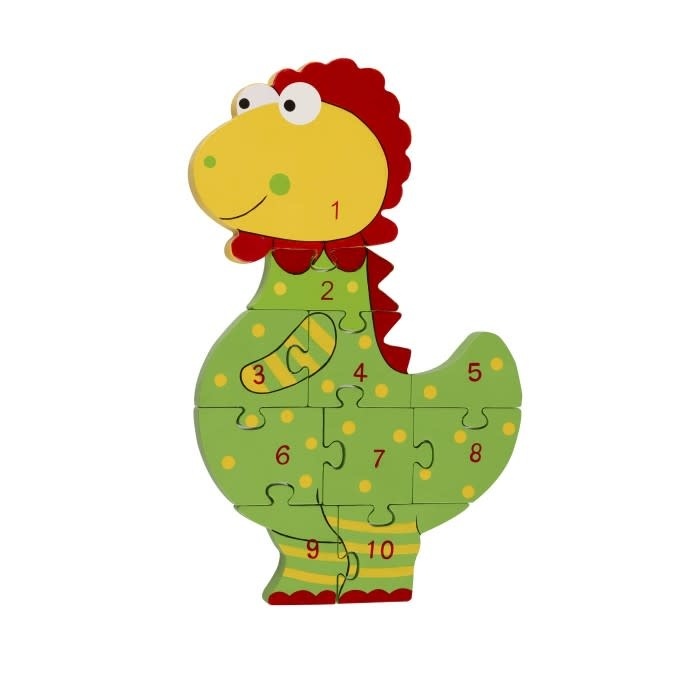 An addition to our range of wooden number puzzles, introduce little ones to the numbers 1- 10, with this fun 10 piece wooden jigsaw puzzle in the shape of a Dinosaur. Painted in bright colours and printed with clear text, its chunky pieces are just right for small hands to grasp.